Hello everyone! I hope all is well with you and yours! Thank all of you so much for your prayers, comments, and emails. We greatly appreciate it! I wanted to let everyone know that my daughter's surgery went wonderfully and she is at home recovering very well. We will have a test done in July to see if everything "took," so to speak. It was a very long, trying week, but prayers were answered and my wife and I feel very blessed. Once again, we thank each of you for your kind words and prayers and I look forward to getting back to the blog this week! Also, if you have emailed me lately and I haven't gotten back to you, I will do so this week. Thank you for your patience! I just wanted to let each of you know that I will not be posting this week. My daughter will be having kidney surgery on Tuesday, May 26th, 2009. This will obviously require my utmost attention so I have decided to take this week to focus on her surgery and recovery. I appreciate your understanding in this matter. Admittedly, I have not been as diligent in keeping up with emails, comments, and phone calls in the past week and for that, you have my apologies. I have been preparing things at my job to compensate for my absence. If you are searching for an answer to a pressing question, I would encourage you to check out our Apologetics Arsenal. This resource lists numerous sites and articles that cover a large variety of topics. Again, I greatly appreciate all of your patience in this matter and look forward to the future topics we plan to cover here at Truthbomb. Please feel free to comment or send an email; however, please understand that it may take some time on my part to respond. My family and I would greatly appreciate your prayers regarding my daughter's surgery and recovery. We greatly appreciate your readership! 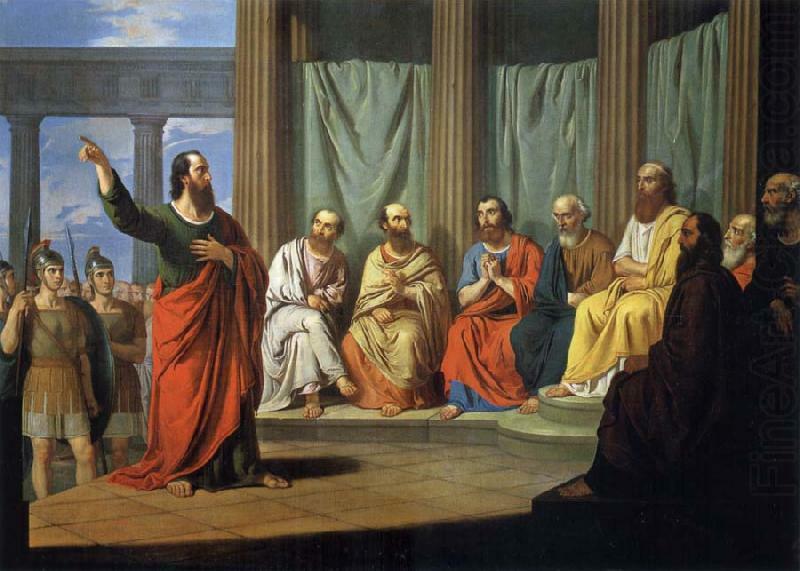 Socrates: Is Intelligent Design Science? In a recent ID the Future podcast, host Casey Luskin interviewed philosophy student James Hoskins regarding a fictitious dialogue he wrote between Socrates and a created skeptic named Hector Dawkins. 2. Is Intelligent Design(ID) science? 3. Is ID a religion or religiously motivated? 4. What is the relationship between science and philosophy? I would say that Science is the search for truth. Ah, now we’re getting somewhere! And how does the definition you just gave exclude Intelligent Design theory? Well, because ID posits a Creator God, therefore it is religion, not science. You are mistaken. Intelligent Design theory does not mention a God of any sort. It simply concludes that certain aspects of the universe are better explained as the product of intelligence, rather than chance and necessity. Socrates, have you been duped by the ID proponents? If you looked into it at all, you would see that the overwhelming majority of ID-ists are Christians. They are being dishonest when they say they are not promoting religion. Science is the search for causes. It can only deal with natural things. Intelligent Design posits a God, which by definition is outside nature and therefore outside science. Intelligent Design also searches for causes. It simply concludes that some causes are intelligent. Again, ID, the theory, does not posit a God. It simply posits intelligence and the intelligence is not necessarily outside nature. Oh, give me a break! An ‘intelligence’ that designed life or the universe? Everyone knows that means God! So you are rejecting Intelligent Design theory not because it is unscientific, but because it has theistic implications? No, no, that’s not right. It’s not science. Science must be restricted to methodological naturalism. ID falls outside that boundary. No, I still believe that Science is the search for truth, I’m just having trouble explaining how ID is unscientific. No matter what your worldview is, I highly recommend this piece. It is an outstanding read! Also, Part II of this literary debate, entitled, "Are ID proponents liars?," can be viewed here. 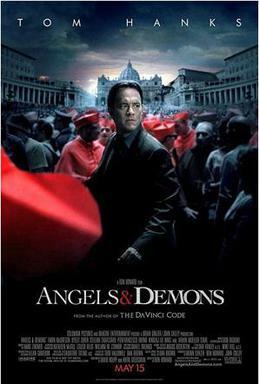 Dan Brown, author of The Da Vinci Code, also wrote a novel entitled Angels and Demons(A&D). The events in this novel take place before the events in The Da Vinci Code. A film adaption of A & D has been released in theaters and stars Tom Hanks and is directed by Ron Howard. The Truth about Angels and Demons seeks to provide a balanced look at the content presented in A & D. As Dan Brown has proven in the past, he has a talent for presenting fiction in the guise of fact. This resource was originally found here. Featured Article: What Makes the Christian God Unique? In this week's featured article, apologist Kenneth Samples of Reasons to Believe shares just 3 of the ways that the Christian God is unique. Featured Flash Video: Is There One True God? Have you ever been asked the question, "What makes you think your God is the only true God?" This week's featured flash video from the Apologetics Bible Study Curriculum, deals with the question "How Can We Know the Christian God is the One True God?" Mike Licona is the Apologetic Coordinator at the North American Mission Board. He was interviewed by Lee Strobel in his recent book The Case for the Real Jesus and appeared in Strobel’s recent video The Case for Christ. He has engaged in public debate on Jesus’ resurrection with Bart Ehrman (UNC), Elaine Pagels (Princeton), and numerous others. He is the author of Paul Meets Muhammad (Baker, 2006) and co-author with Gary Habermas of the award-winning book The Case for the Resurrection of Jesus (Kregel, 2004). God Spoke and "Bang!" It Happened! A Review of Brian Flemming's DVD "The God Who Wasn't There"
A Critique of the Essay "The Intrinsic Flaws Inherent in Christianity"
I encourage our readers and team members to checkout Mike Licona's work. I am grateful to all of you (and anyone I forgot to include) and really witnessed the body of Christ in action. After Greg's messages yesterday, many of you had questions about Stand to Reason's resources. If you were not able to be there yesterday and are interested in seeing Greg present the Columbo Tactic, see here. Further, Greg mentioned the Tactics Blog Tour that he participated in on Truthbomb in February; if you are interested in checking out the interactions he had with blog visitors, please see here. In this post, I want to include links to some of STR's excellent materials that I myself find useful. Moreover, I would encourage you to explore their site for yourself. Quick Thoughts- on various topics dealing with apologetics, theology, ethics, etc. Many thanks go out to Greg for his willingness to come to Faith Christian Fellowship. I believe that we were all challenged and encouraged. I just wanted to share. If you have a verse (or verses) that you find to be helpful for apologetic study, please feel free to share them in the comments! As we continue to look at the reliability and historicity of the New Testament text, I thought that an interview with Dr. Dan Wallace would be helpful. Wallace is one of the only speakers I have listened to that can make Bible history and manuscript evidence exciting and is one of the world's leading experts in biblical textual criticism. The original audio was found at 4truth.net, a great apologetics resource. In this week's featured article, Dr. Gary Habermas offers compelling reasons to believe that the New Testament is historically reliable. Featured Flash Videos: Is the New Testament Reliable and Where did it Come From? Where did the NT come from? I encourage you to take the time to view these two informative flash videos and share any thoughts or questions you may have. Peter Kreeft, Ph.D., is a professor of philosophy at Boston College and at the King's College (Empire State Building), in New York City. Although Kreeft and myself differ on numerous theological issues (he is Catholic), I find his work to be extremely thought-provoking and relevant. For those not familiar with Dr. Kreeft, you may have read an interview with him in Lee Strobel's book, The Case for Faith. Kreeft took his A.B. at Calvin College (1959), and an M.A. at Fordham University (1961). In the same university he completed his doctoral studies 1965. He briefly did post graduate studies at Yale University. To check out a complete list of Dr. Kreeft's books, see here. To view other articles and works by Dr. Kreeft, see here and here. To view a complete list of Dr. Kreeft's Featured Audio, click here. I hope that our readers find Dr. Kreeft's work beneficial. Contrary to what anti-religious zealots such as [Sam] Harris assert, throughout history far more lives have been snuffed out by faith-hating fanatics than by religious believers. That works out to about ninety-seven people a year- a ghastly number, to be sure, but a far cry from the "millions" routinely cited by secular fundamentalists. As for the "witch hunts," another example Harris and others give as irrational religious fanaticism, the British historian Norman Davies estimates 50,000 people, primarily women, were executed as witches over a four-hundred year period-an average of about 125 a year. Yet as horrible as these examples of religious intolerance may be, they pale in comparison with the single-minded, bloodthirsty, satanic fury unleashed upon the innocent by secular fundamentalists-those militantly atheistic regimes that sought to expunge religious belief and "bourgeois" morality represented intolerable obstacles to social progress. According to research conducted by the political scientist Rudolph Rummel at the University of Hawaii, the officially atheist states of the Communist bloc committed more acts of genocide than any societies in governments in the twentieth century-communist, socialist, fascist-equals about 170 million. ...Rummel's conclusion is as shocking as it is inescapable: War wasn't the most deadly evil to afflict humanity in the twentieth century. Government was! And not just any government, but atheist government. As a result, ordinary people-whether religious or not-might be forgiven their general skepticism when today's secular fundamentalists talk about the "intolerance" and "violence" of biblical religion or the people who believe in it. In terms of raw numbers-which is the only kind of evidence that rationalists such as Harris claim to accept-the evidence is incontrovertible: Freed of any moral restraint, believing that the ends justify the means, scoffing at the notion that they will ever answer to a power higher than themselves, the murderous dictators of atheistic regimes feel little hesitation in committing mass murder if they believe it will advance their more "rational," more "scientific" social aims. I realize that the above information does not automatically mean that atheism is false. Nor do we believe (or mean to imply) that all atheists are bad people. We know some that are very nice. The purpose of this book excerpt was to challenge the often proclaimed statement that "religion has caused more death and wars than anything else," or an objection like it. Added: Our friend the Wintery Knight has blogged on this topic as well. Check it out here and here. In this audio, Dr. Peter Gentry, Professor of Old Testament Interpretation at Southern Baptist Theological Seminary, examines the question: "Are the Old Testament Documents Reliable?" The audio was found at Apologetics 315; a very informative blog and great place to find apologetics audio resources. I decided to include a few articles that deal with evidences for the Old Testament due to the fact that I couldn't decide on just one. I hope you find these resources helpful and, as always, feel free to share any thoughts you may have. 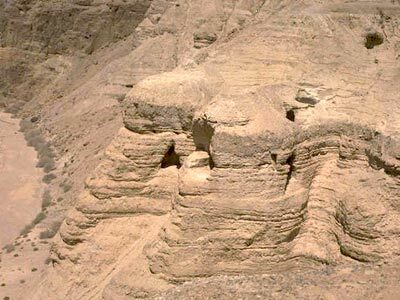 Flash Video: Is the Old Testament Reliable and Where Did It Come From? Hello to everyone and I hope all is well! This week's flash video from the Apologetics Bible Study Curriculum is entitled, "Is the Old Testament Reliable and Where Did It Come From?" Was the OT copied accurately? I encourage our readers and team members to check out this video. 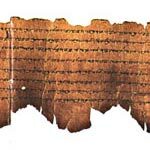 Skeptics who may be asking about the reliability of the Old Testament and why certain books were included in the Old Testament while others were left out, will enjoy this video as well. I remember the first time I heard Dr. Ravi Zacharias speak. Having only been a Christian for a few years, I was given a cassette tape (yes, I still have a player) of a message entitled, "Absolute Truth in Relative Terms." I had no idea who he was and I remember listening to this message and being completely in awe of the knowledge, illustrations, and compelling challenges that flowed from Dr. Zacharias's sermon. I remember thinking, "Man, I have never heard anyone communicate in quite the same way as this guy." And I still haven't. When Ravi speaks, it is reminiscent of an artist working on a painting. A dash of scripture here, a dab of compelling story here, and large strokes of solid truth result in a masterpiece. Many times, as with a painter, you can't quite tell what Ravi is driving at, but as he concludes his message, when the entire picture comes together, you realize what a work of art you have witnessed. As I have said before, if you are looking for an apologetic that challenges not only the mind, but also the heart, Ravi Zacharias does it like no other. Among his numerous publications and articles (see below), Dr. Zacharias also hosts a weekly radio broadcast appropriately titled, "Let my People Think." Further, there is another broadcast offered through his ministry entitled "Just Thinking." For more on Dr. Zacharias, see here. He received his Masters of Divinity from Trinity International University in Deerfield, Illinois. Well-versed in the disciplines of comparative religions, cults, and philosophy, he held the chair of Evangelism and Contemporary Thought at Alliance Theological Seminary for three and a half years. Mr. Zacharias has been honored by the conferring of a Doctor of Divinity degree both from Houghton College, NY, and from Tyndale College and Seminary, Toronto, and a Doctor of Laws degree from Asbury College in Kentucky. He is presently Visiting Lecturer at Wycliffe Hall, Oxford University in Oxford, England. Can Man Live Without God?, excerpts can be viewed here. To check out more of Ravi's books, go here. For more articles by Ravi and other apologists, see here. And more; check it all out here! Ravi Zacharias is a unique, gifted communicator. I recommend his work to those who have questions about their own existence and how it relates to the God of the Bible. A few weeks ago, I sent an email out to our team members, asking them what changes they thought we could make to the blog to create a more useful resource. One of our team members, Chad V., suggested that we include personal stories of those in the faith. He reminded me of how powerful a good story can be. After all, Jesus Himself spoke in parables or stories. Although some of you may have heard already, A.N. Wilson, novelist and biographer, has renounced his atheism of twenty years and returned to belief in God. In this article, Wilson writes of his interactions with fellow atheists such as Richard Dawkins and Christopher Hitchens, as well as explains why he believes atheism and/or materialism to be incapable of explaining our "mysterious human existence." To read Wilson's entire story, click here. An online interview with A.N. Wilson can be found here. 1. A.N. 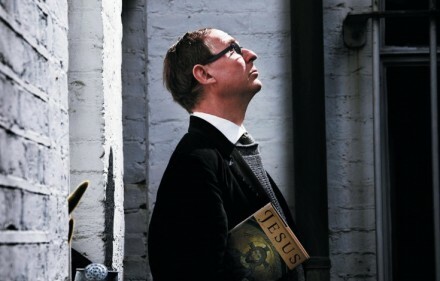 Wilson, Why I Believe Again, New Statesman, http://www.newstatesman.com/religion/2009/04/conversion-experience-atheism, April 2, 2009. WHY DON'T WE SEE BIBLICAL MIRACLES TODAY? Many people today have a very provincial view of history and of human experience. "If I personally don't see certain events happening today," they think, "they probably never happened." The implication for miracles is obvious. Namely, "If there are not public, biblical-quality miracles happening today (and if they were, they'd be on the Fox New Channel), then why should I think they happened in the past?" It's a fair question. However, there's a common misconception behind this question. It's the belief that the Bible is filled with miracles that occur continually throughout biblical history. That's only partially true. It is true that the Bible is filled with miracles, about 250 occasions of them. But most of those miracles occur in very small windows of history, during three distinct time periods-during the lifetimes of Moses, Elijah and Elisha, and Jesus and the apostles. Why then? Because those were the times where God was confirming new truth (revelation) and new messengers with that truth. If most of the miracles are bunched there, what's happening miraculously during the other periods the Bible covers? Nothing. In fact, there are huge gaps of time in the Bible (even hundreds of years) where there are no recorded miracles from God. Why? Because there was no new word from God, and most miracles confirmed some new word from God. So why don't we see miracles today? Because if the Bible is true and complete, God is not confirming any new revelation and thus does not have this main purpose for performing miracles today. There is no new word from God that needs to be confirmed by God. Now don't misunderstand us here. We are not saying that God cannot do miracles today, or that he never does. As the sovereign Creator and sustainer of the universe, he can do a miracle anytime he wants. It's just that he may not have a reason to publicly display his power the way he did during biblical times because all of the truths he wanted to reveal have already been revealed and confirmed. As with a house, the foundation only needs to be laid once. Biblical miracles were special acts of God that laid the foundation for his permanent revelation to mankind.